One of the most influential African-American actresses in Hollywood, Alfre Woodard has continued to soar high and exceed expectations in the movie industry. She is known for her remarkable movie roles which she effortlessly diffuses into with all earnestness. Woodard can be said to be a lucky charm for producers and directors because by analysis, any movie she features in, mostly turns out to be a hit. Some of her movies include; 12 Years a Slave, The Family That Preys, Grand Canyon, and lots more. Alfre may have played different personalities on-screen, but these roles have little or nothing to do with her real-life endeavors. There is so much to know about the renowned Holywood personality who continues to set standards for her counterparts as well as aspiring actors and actresses. Alfre of African-American ethnicity was born on November 8, 1952, to her parents Constance and Marion H. Woodard in Tulsa, Oklahoma. She grew up with her parents alongside her two older siblings. Young Alfre was enrolled at Bishop Kelley High School, also in Tulsa and graduated from there in 1970. Woodard began her acting career in the theaters. She was in her teens when she started taking part in theater productions. After high school, the actress who always knew what she wanted, went ahead to study Fine Arts and Theater in Boston University and graduated in 1974. Even after she earned a degree, she continued with theater while she sought for movie roles. The actress was part of the theatrical production; For Colored Girls Who Have Considered Suicide When the Rainbow Is Enuf, in 1976. Alfre Woodard made her film debut with the thriller; Remember My Name (1978), which was produced by Alan Rudolph. Alfre Woodard went on to appear in a wide range of movies. She made a remarkable appearance in NBC medical drama, St. Elsewhere in 1985. In the movie, she played a love interest of Denzel Washington. She was also part of the cast of the movie, Hill Street Blues which won her an Emmy Award. She is also known for her roles in movies; Crooklyn (1994), Star Trek: First Contact (1996), The Forgotten (2004). In 2005, she became a part of the series Desperate Housewives. Woodard also appeared in other series like Grey’s Anatomy, Private Practice, The Practice, and others. The actress who is known for her remarkable role in The Family That Preys (2008), has gone continued to feature in tons of other hit movies. One of her most notable roles was in HBO film Mandela (1987), where she starred as political activist and wife of South African freedom fighter, Nelson Mandela. In 1993, she was also cast in another anti-apartheid movie, Bopha!. Woodard has garnered lots of accolades in the course of her ever-blossoming career. She has won four Emmys and tons of nominations on the movie award platform. She has also won three Screen Guild awards. The actress was once named as one of the Most Beautiful People in the United States by People Magazine. The actress may have been a bit private with her personal dealings, and this has led to different reports on her net worth. According to some sources, Alfred Woodard sits on an estimated net worth of $13 million, while some have estimated it to be way higher than that. Nevertheless, the actress enjoys a comfortable life with her family although she makes less noise about her dealings. Alfre Woodard may have played lots of varying personalities on-screen but this does not mean she is that complicated. The talented actress is a traditional family woman who upholds the values of marriage and togetherness. She has been married to her husband, Roderick Spencer, a writer, since 1983. Alfre’s interracial marriage of over 30 years has been an inspiration to Hollywood couples, as well as to fans, and the public at large. 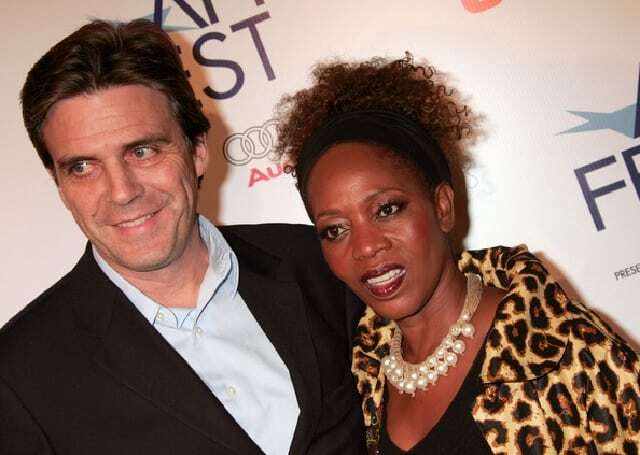 Alfre, an African-American and Roderick, an American, have had a fair share of criticisms and mockery from the public over the nature of their marriage. But the happy couple has stayed true to each other amid the castigations and have today become an ideal Hollywood couple. Moreso, there have never been reports of divorce or separation in the media regarding their marriage. Woodard has two adopted children, Mavis and Duncan with her husband. The couple who did not have children of their own went on to adopt a boy and a girl. Nothing much is known about her son Duncan, but her daughter Mavis was Miss Golden Globe in 2010. Alfre Woodard took her time to choose how to go about her faith. She is a Christain Scientist who believes in following the good instincts. Although she went to a Catholic school, she explored different beliefs. She has a brother who is Bahai and a Lutheran friend, as well as a mother who is Church of Christ. The actress who has been surrounded by different beliefs all her life gradually came to the decision to practice her god mother’s faith – Christian Science which she says she understands the most. Woodard has maintained a good shape over the years, thanks to her wise and healthy lifestyle. The legendary actress stands at a height of 1.6 m (5 ft 3 in) which is quite proportional to her weight of 68 kg (150 lbs). Alfre and her 40-29-39 inches body stats fit into a size 12, which is her dress size.